Which Videogame’s In-Game Universe Corresponds Directly To The Real World? Which Country Is The Largest Exporter Of Cigars In The World? Many fantasy realms and video games contain regions and peoples that can be loosely linked to real world regions and peoples (many an argument has been waged over what the different realms and races in Tolkein’s Middle Earth relate to). In the case of the the Pokémon game universe, however, the associations with the real world range from thinly veiled to explicit. The Kanto region found within the Pokémon games, for example, explicitly corresponds to the actual Kantō region of Japan and includes references to major cities, cultural norms and attitudes, and even the mineral rich volcanic soil found there. While none are as direct as the Kanto reference, Pokémon-to-real-world game references abound. 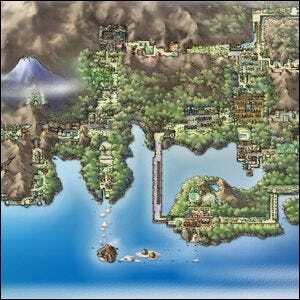 Many of the islands in Pokémon are modeled off the Japanese Sevii Islands and most of the in-game cities and regions are modeled after Japanese cities and regions (even if they are not explicitly named after them). With more games came a larger game world and designers stopped limiting themselves to Japanese reference points; the Unova region of the Pokémon universe is said to have been modeled on Manhattan. Artwork from Pokémon Heart Gold.